But trying to budget for roof repair can sometimes be a little challenging. I mean, roof repair is not something homeowners have to deal with very often, fortunately. Choose the roofing material that you want to use. This factor will have a big impact on the overall cost to replace the roof. You may wish to replace the roof with the same type of roofing material that is currently installed. Consider the price of the material, the amount of time you plan to stay in the home and the lifeline of the roofing materials. Asphalt shingles offer the most affordable option. Wood shingles, recycled rubber, and tile can all be used for roofing purposes, but they come with higher price tags. Other options include metal and slate. Three-tab asphalt shingles have a life expectancy of 15 to 20 years, while slate has a life expectancy of 50 to 100 years. Contact at least three different professional roofers to receive an estimate. Request that the estimate be supplied in a detailed, written proposal that includes all pertinent information, material selection and an approximate timeline for the project. Request that the materials and labor be listed separately. Calculate the cost of the materials you will likely need. You may be able to find the materials at a better price than the contractor has indicated. Mount a ladder and head to the top of your roof. Use a tape measure to measure each roof plane. Multiply the length of each plane by the width. This number will give you the square footage of each plane. Add the square footage of each plane together to get the total square footage of your roof. Provide a home improvement store with the square footage and the type of roofing product you plan to use to determine how much the material will cost. Add 10 percent to the estimate from the roofing contractor that you choose. This amount will ensure that you have additional funds available in the event of overages, wasted product or unforeseen problems that may arise during the project. Divide the new contract price by the number of months that you have to save. For example, if the new roof will cost $15,000 and you want to replace it within six months, you will need to save $2,500 each month. Write down all of your expenses and your income. Write down every time that you spend money so that you can easily track where your disposable income is going. If your income minus your expenses are less than the monthly amount that you need to save for the new roof, you will need to generate more income or cut expenses. Cut expenses if necessary. Forgo vacations and other hefty expenses. Take your lunch to work, use less electricity by adjusting your thermostat and unplugging unused appliances, cut an unnecessary phone line and downgrade your cable package. Analyze every other place in your budget that can allow you to decrease expenses. Place all of the extra savings in your roof savings account until you reach your goal. When you need a dependable roofing service you can rely on, contact Intelligent Design. 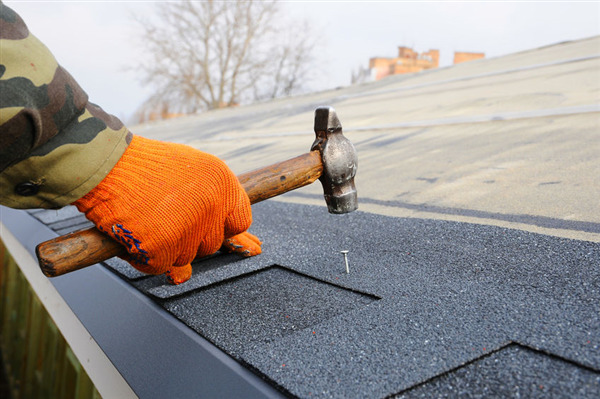 We offer a wide range of roofing services for homeowners in Minneapolis, Minnesota and the surrounding area.